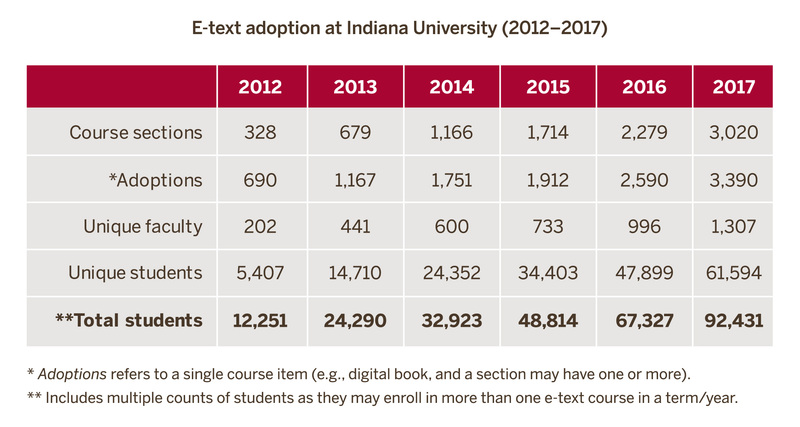 The table and figure below depict the growth of the Indiana University eTexts program. From modest beginnings, the early initiative has grown to a several million-dollar program. 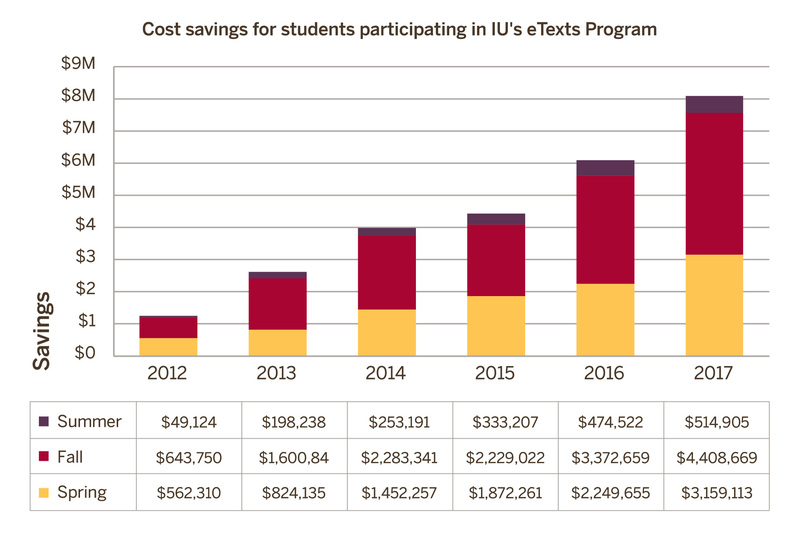 The IU eTexts program began in the fall of 2009 as a subsidized pilot program. It expanded to all IU campuses in the spring of 2012. In 2017, over 61,594 students—or 53.4% of IU’s approximately 115,000 students on all eight campuses—used at least one eText. eTexts were used by 1,307 unique faculty in 3,020 class sections, accounting for 3,390 adoptions of a digital text. Real savings generated by the program in 2017 reached nearly $8.1 million, up from a little over $1.2 million in 2012. This is a direct reduction in the cost of attendance. The discounted savings is the retail cost of the printed text less the eText price divided by two. The latter step adjusts for the fact that most students try to avoid paying full retail prices. While this is an inexact measure, we believe it is a good approximation of the savings accrued by students as a result of the eText program.